Starring: Saoirse Ronin, Harry Treadaway, Toby Jones, Martin Landau, Marianne Jean-Baptiste, Mary Kay Place, Mackenzie Crook, Tim Robbins, Bill Murray. Is it really possible that a kids adventure film can be dull and uneventful? Well… “City of Ember” is proof that, yes, it can be. 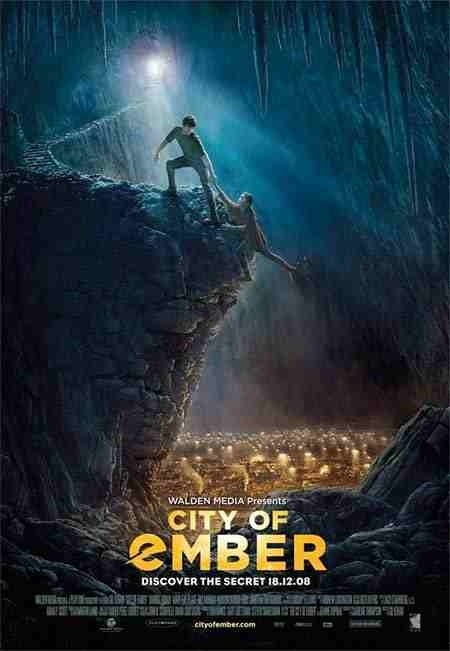 Based on the novel by Jeanne Duprau, it tells the story of Lina (Ronan) and Doon (Treadaway) who live in an underground city named ‘Ember’. It is lit only by electric lamps, whose inhabitants have no light sources. The darkness beyond their city hold unknown things and possible salvation, so they decide to find a way out, as ‘Ember’ is falling to pieces and what little power supply they have left, is running out. There is next to nothing to recommend here, with the one exception being a nice and almost unrecognisable appearance from Martin Landau. 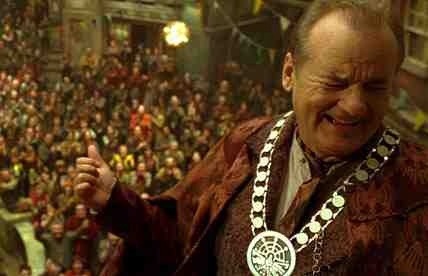 What the hell Tim Robbins and Bill Murray where thinking of by getting involved in this stinker, I’ll never know. They are way above this tedious nonsense. One for definite avoidance unless your suffering a bout of insomnia. This entry was posted on January 28, 2012 at 3:28 pm and is filed under Adventure, Family, Fantasy with tags 2008. You can follow any responses to this entry through the RSS 2.0 feed. You can leave a response, or trackback from your own site.